This picture of succulent gray ghost plant (Graptopetalum paraguayense) leaves was taken at the Kanapaha Botanical Gardens. 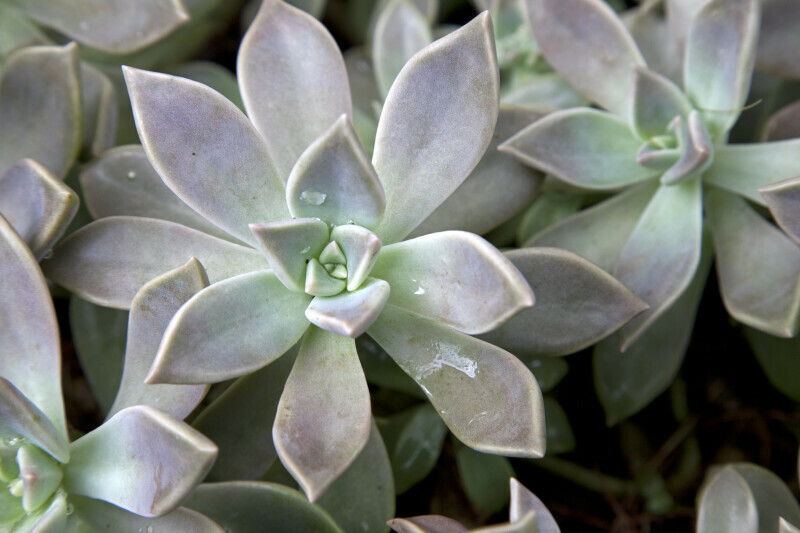 Succulent plants are xeric, which means they have adapted to living in very dry conditions. New seeds of this plant are germinated by the plant's fallen leaves rather than by rainfall.